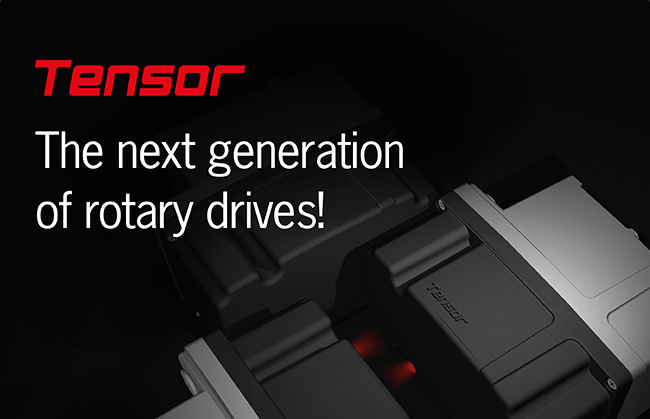 Ten­sor — The next genera­ti­on of rota­ry dri­ves! Do you know of an actua­tor that offers a high level of pre­cisi­on, pro­vi­des maxi­mum fle­xi­bi­li­ty, meets all ope­ra­tio­nal safe­ty requi­re­ments and is both eco­no­mi­c­al and dura­ble? If you do, then it’s bound to be Ten­sor! Curious? Then sim­ply click on the fol­lo­wing link to view the Ten­sor data sheet with detail­ed infor­ma­ti­on. We would also be delight­ed to give you an in-depth intro­duc­tion to the next genera­ti­on of dri­ve tech­no­lo­gy during a per­so­nal mee­ting in your com­pa­ny or on our stand at the “Val­ve World 2016”. We look for­ward to see­ing you! Ten­sor is avail­ab­le in three dif­fe­rent ver­si­ons with count­less modi­fi­ca­ti­on opti­ons. https://www.stellantriebe.de/wp-content/uploads/news_tensor_en.jpg 419 650 adminRSB http://2016.stellantriebe.de/wp-content/uploads/2016/04/logo-aris-stellantriebe-1.png adminRSB2017-07-24 10:33:292017-07-24 10:54:40Tensor - The next generation of rotary drives!